Are you one of the people living in Surrey with a roof that is covered in moss? If so, there is no need to. We are the people to call for the roof cleaning Farnham residents can count on for outstanding results. Most people will spend a lot of their time and effort caring for the inside of their property. This can make your home one that stands out and looks great. What people fail to remember though is that the outside needs attention too. It is the first thing people see and is crucial for making the right first impression. 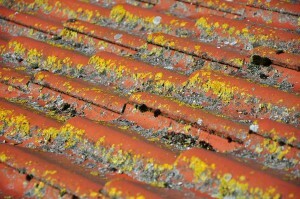 Moss is one organic growth that, along with lichen and algae, can eventually cover your roof. They grow and leave patches across the surface and between tiles. This looks unattractive and can be damaging. For example it can cause heat damage from dark stains. It can also be harmful to your gutters by causing blockages that lead to water damage and stains. There are a lot of people who don’t clean these growths away. This is often because they don’t realise that there are dedicated professionals waiting to help. By going through us, you won’t have to worry about attempting to take on this job yourself. We have the expertise to remain safe through our work while delivering brilliant results. Grime, moss, and other organic growths are easy to clean away with our help. You will be able to sit back and relax while we care for your property in a way that will achieve stunning results. Our work is superior to pressure washing thanks to our gentle approach. We also use a biocide that can provide protection for a longer period. You can learn about the services we provide for the roof cleaning Farnham and surrounding areas love to use. Feel free to reach out to Surrey Roof & Gutter Clean at 07592 589484, or use the contact form on our site.